Since 1984, our company has grown to be one of the nation’s largest residential garage door dealers. Easy Lift Door Company purchases doors from leading name brand manufacturers to ensure quality. No other dealer can offer you the variety and affordability that we do. With over 30 years of superior installation services, Easy Lift Door is the most trusted garage door installer in the region. We offer a variety of services to help you upgrade your garage door. 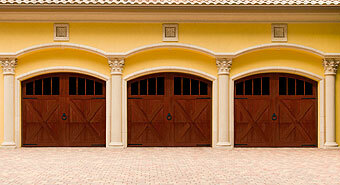 A custom-designed garage door can add significant value to the curb appeal of your home. Determine which garage door opener is right for you, and explore our accessory options.